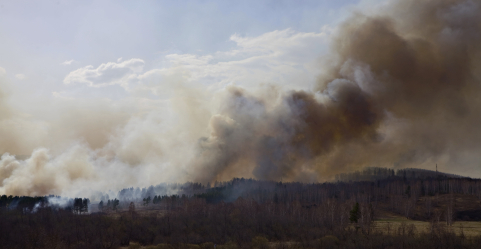 Forest fire in South Ural, Russia. The Fund for Assistance to the Russian Orthodox Church Outside of Russia allocated $5,000 to the wildfire victims in Russia from its general fund. “The Moscow Patriarchate Department for Charity and Social Services should receive the money by Tuesday,” said FFA treasurer Alexander Kulesha. FFA opened a campaign to help the victims of forest fires in Russia on Tuesday, August 3 in response to His Holiness Patriarch Kyrill’s appeal to help those in need. So far $3,000 has been collected.